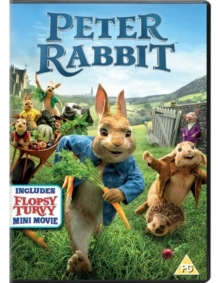 Children's animated adventure based on Beatrix Potter's characters featuring the voice talent of James Corden as the eponymous mischievous rabbit. 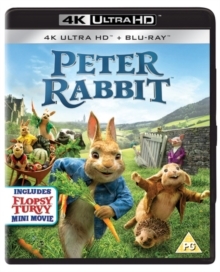 Peter Rabbit thinks he has the perfect life, stealing vegetables from Mr. McGregor (Sam Neill)'s garden with his sisters Flopsy (Margot Robbie), Mopsy (Elizabeth Debicki) and Cottontail (Daisy Ridley), and being cared for by kind-hearted neighbour Bea (Rose Byrne). When Mr. McGregor suddenly dies his nephew Thomas (Domhnall Gleeson) arrives from the city to take over his uncle's house. 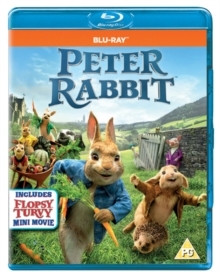 He promptly takes drastic action to keep Peter and his friends off his land, starting an aggressive war that turns into a battle for Bea's affection.